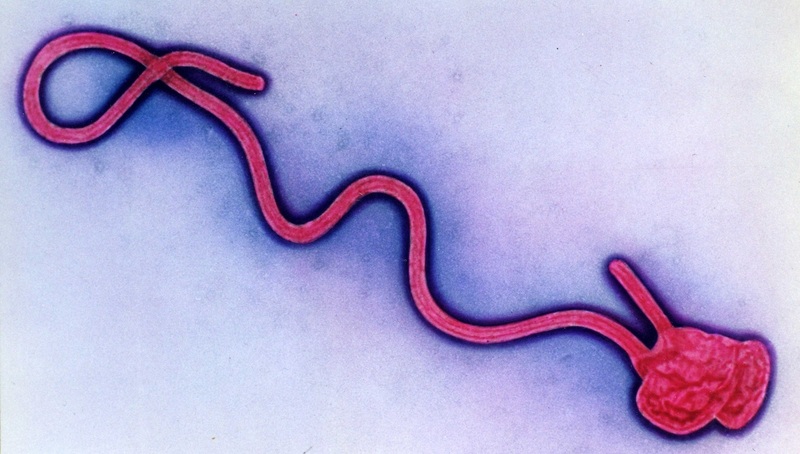 In this blog PHE Director of Global Health Brian McCloskey answers some of the public health questions currently being raised in the media and via social media, about Ebola. The West Africa Ebola outbreak is an evolving situation and we will amend this blog if new issues emerge. You can also find more information about the cross Government response to the Ebola outbreak in West Africa, on GOV.UK as well as a comprehensive Public Health England Ebola Q&A. Q. The media is reporting a serious Ebola outbreak in West Africa but health professionals in Europe and the USA say there’s low risk of an outbreak in their own countries. Are they being complacent? Brian McCloskey: There’s certainly no complacency as health professionals are both alert and prepared. But it’s important to highlight differences between healthcare in West Africa and healthcare and public health systems in countries like the UK. In West Africa, Ebola spreads for a number of reasons. For instance some people are mis-diagnosed or not diagnosed at all which means they are not isolated and so pass the virus on to others. Efforts to control Ebola in West Africa are hampered by a general mistrust of health professionals and unfortunately infection control procedures in hospitals are not always as good as they should be. Added to this, traditional burial rites in West Africa often expose people to the bodily fluids of Ebola victims. In the UK anyone suspected of having Ebola would be tested quickly and their close family and contacts monitored until they are given the all clear. UK hospitals are well prepared to handle infectious disease and any patient would be cared for in isolation by specialist staff. There is no like for like comparison between West Africa and the UK – we would not see an Ebola outbreak here like the one in West Africa as our health systems work in different ways. Q. What if someone from West Africa flies to the UK and infects people on the plane or on public transport when they get to the UK? Brian McCloskey: To catch Ebola you need to come into close contact with someone who is sick with Ebola (a person with Ebola is not infectious until they start showing symptoms). So in order to get infected you would have to encounter someone who is ill and make contact with their blood, saliva or vomit. Ebola is not spread through normal social contact or travelling with someone who isn’t sick, even if they have the virus. People are keen to know if Ebola can be passed on by someone coughing or sneezing and the answer to this is that it’s unlikely because Ebola is not a respiratory illness transmitted by virus particles that remain suspended in the air. So, while theoretically it is possible a person with Ebola could pass it on by a sneeze, that individual would have to be very sick and unlikely to be walking around in public. The sneeze from the infected person would also have to land directly on someone else’s mouth or nose. In the UK anyone suspected of having Ebola would be tested quickly and their close family and contacts monitored until given the all clear. UK hospitals are well prepared to handle infectious disease and any patient would be cared for in isolation by specialist staff. Q. Someone recently arrived in the USA with Ebola, what if this happens in the UK? Brian McCloskey: It has always been the case that there’s a low, but nevertheless real risk that we could see cases of Ebola in the UK, in people who have travelled here from the affected areas. Since the start of the outbreak in West Africa the Government and health services have been sharing information with UK Border Force, hospitals and GP surgeries and we continue to do so. We are all vigilant and looking out for unexplained illness in anyone who has recently arrived in the UK from West Africa, just as we were for an infection like SARS and as we are now, when monitoring for current risks like MERS. But even if an Ebola case was identified we have robust, well-developed and well-tested NHS systems for managing unusual infectious diseases when they arise, supported by a wide range of experts. As mentioned previously, Ebola causes most harm in countries with less developed healthcare facilities and public health capacity. Q. Will screening people at airports stop people with Ebola from getting into the UK? Brian McCloskey: Exit screening at airports in Liberia, Sierra Leone and Guinea is already in place and implementing entry screening for people coming to the UK has been kept under review. The Chief Medical Officer has recommended screening at the UK’s main ports of entry (Heathrow, Gatwick, Eurostar terminals) for people travelling from Liberia, Sierra Leone and Guinea. This will involve taking passengers’ temperature, asking who they have been in contact with, assessing their travel history, and discussing onward travel arrangements as well as a medical assessment if needed. Passengers will also be given advice about Ebola symptoms and what they should do if they become unwell later. We are also issuing posters to airports and seaports to provide further advice. No system of entry checks could claim to offer total protection as it’s possible a traveller could be infected with Ebola but have no symptoms, but entry screening provides an additional opportunity to let travellers know what to do if they did start showing symptoms. We have robust, well-developed and well-tested NHS systems for managing unusual infectious diseases when they arise, supported by a wide range of experts. Q. Why don’t we ban people travelling to the UK from West Africa? Brian McCloskey: Banning international travel would be a very significant decision made by a number of agencies and the question that must be asked is “what’s the best way to end this outbreak?”. We will never remove the risk to the UK while the outbreak continues in West Africa and the longer it continues the greater the risk to the rest of the world. Blocking travel from the affected countries would disrupt the movement of supplies, experts and aid workers and may simply encourage people from the affected countries to travel out from alternative locations. If the effect of a travel ban was to make the outbreak in West Africa worse, or spread to other African nations, this is not an effective public health strategy for the UK. This is the reason why no travel bans are currently recommended but the UK Government will keep all matters relating to international travel under constant review. Q. Should people in the UK start taking additional precautions to protect themselves from Ebola? Brian McCloskey: There is no need for people in the UK to act differently, either now or even if we discovered a case of Ebola here. It is inevitable that a case in the UK would lead to widespread media attention and public interest, but while the UK might see cases of imported Ebola, there is minimal risk of it spreading among the general population. This is because any patient would be treated in isolation, anyone who came into close contact with the ill person would be traced, and those people would be monitored for symptoms. It is only possible to pass on Ebola to another person when you are sick – it cannot be passed on by someone who may have been exposed but hasn’t yet been taken ill. Ebola is a serious illness and progresses quickly which means people who become symptomatic get ill quickly and are not likely to be walking around infecting others. Q. Where can I get more information about Ebola? Brian McCloskey: If you want to keep track of the UK cross Government response to Ebola information is available on GOV.UK. You will also be able to get the latest official health advice by following Public Health England and NHS Choices via social media. Q. What do I do if I think I have Ebola? Brian McCloskey: Unless you’ve come into contact with the blood or bodily fluids of an infected person, there is very little chance of you being affected. If you’ve been to Guinea, Liberia or Sierra Leone in the last 21 days, and become unwell with symptoms such as fever, chills, muscle aches, vomiting, diarrhoea or sore throat you should stay at home and dial NHS 111 or 999 and explain you have recently been to West Africa. Don’t forget that there are many other illnesses with similar symptoms – such as malaria – which are much more common in returning travellers. you live in cuckoo land if you think you can contain this without very strict quarantine in place and a total travel ban to and from infected areas why is the international comunity so frightend of a travel ban till this desease is under total control you know it makes sense act now while there is still time ! These were a number of questions that was being asked when I met with people in the community today. I believe the points were balanced and, as you stated are constantly under review. With Duncan Selbie at the helm at PHE, and the knowledge and commitment of specialist people at PHE, and other agencies it will be the response that is needed. Surely just a ban on travel in and out of africa would contain the virus? Let aid and supplies in but quarentine the carriers of supplies for 3 weeks untill given the all clear. Why is that so hard to do? A ban on travel in and out of africa, except for medical aid and supplies. The carriers of supplies stay in quarentine for the 21 day incubation period and allowed to travel home after given the all clear keeping the virus contained . Simple surely?